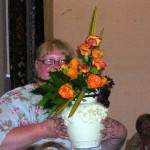 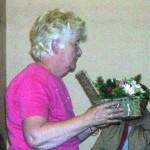 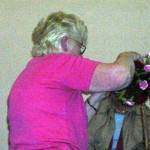 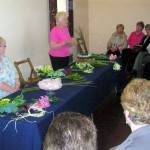 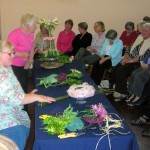 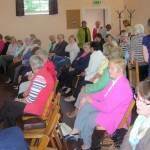 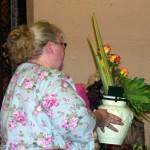 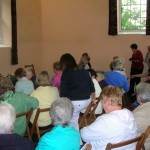 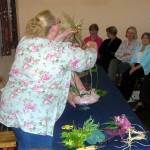 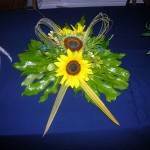 The Herron Hall was the venue on the evening of 10th June for a gathering of flower arranging enthusiasts from both our own Parish of Ardkeen and the Kircubbin Presbyterian Parish. 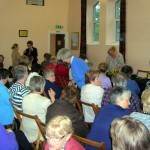 The hall was packed to capacity with spare seats having to be found from all the nooks and crannies in the hall and at times there was standing room only! 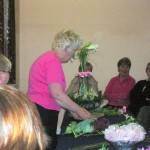 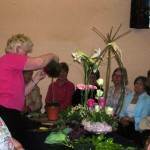 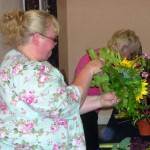 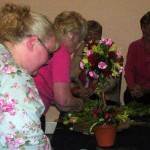 Betty and Dianne were the demonstrators for the evening and made all the arrangements look so easy to do. 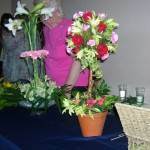 They took their time to explain in depth their step by step processes including making sure to soak your oasis well before starting to put the flowers in. 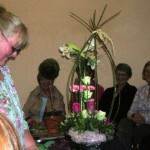 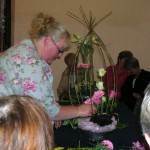 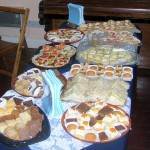 The hall was silent during each demonstration as the audience looked on in awe and after four arrangements were magically put together, including a very complicated display that had willow branches bent and tied together to make a very eye catching presentation, it was time for tea. 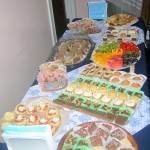 A sumptuous supper was laid on and in a very short time tea and coffee were distributed to the assembled group and much chatter took place discussing the arrangements so far. 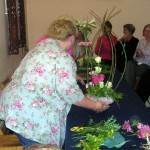 There was time too for taking a closer look at the arrangements on display. 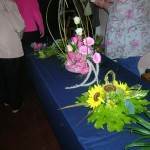 Following supper it was back to the demonstration and the final two arrangements were made including one in a small wicker basket. 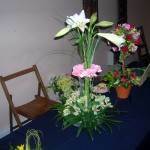 Then it was time to share out the goodies and as everyone got a ticket on the way in a free ballot was held and the six arrangements were given to lucky winners and the surplus flowers were also made into bunches, so nearly a dozen prizes were given out. 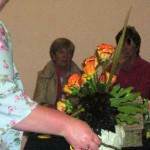 A vote of thanks was given to Betty and Dianne and to all those who attended and made the evening a resounding success. 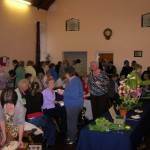 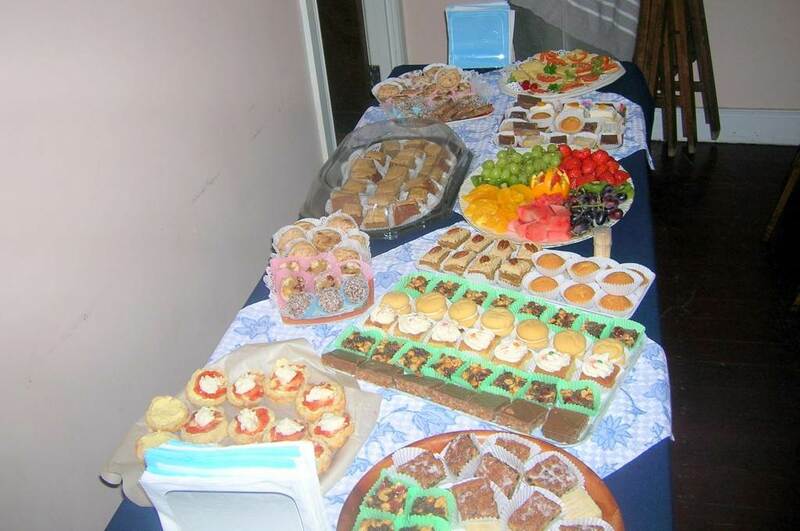 The evening was a joint event presented by the Kircubbin Presbyterian Church and the Parish of Ardkeen Social Committee. 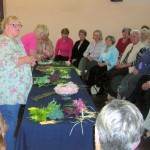 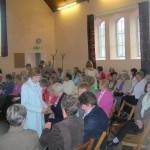 It is hoped to have a similar event in the lead up to Christmas, so keep your diary free in November!